Ciamei Caffè S.r.l started in the coffee roasting business in the 1900s with the "Caffè Magda" brand, named after Maddelena Passerella. The company was established when the Passerella family of Salerno (pioneers in the Neopolitan and Italian coffee markets), teamed up with Giusto Ciamei. 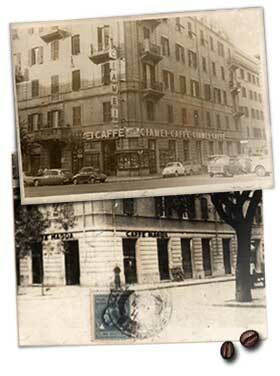 At the end of the '30s, Giusto Ciamei, the founder of the family, became owner of the company at changed it to Ciamei Caffè. In 1973, Ciamei Caffè became a joint-stock company, with Giusto's children following in his footsteps. Giusto's grandson will be the next Ciamei to take the helm. The Ciamei company specialises in the production and marketing of roast coffee: blends of beans for espresso coffee in bars, and ground coffee for using with Moka coffee makers. The Moka mix is roasted and ground for the customer and sold either in vacuum packed tins or bags; or sold freshly roasted as beans or grounds in bags. Ciamei employs master coffee roasters who are constantly searching for the best coffee blend to create the distinctive characteristics needed to give their coffee the taste and aroma to satisfy the most demanding palettes, using traditional coffee grinding methods (high calorie-long roasting). The best quality Arabica and Robusta coffees are selected and imported from Guatemala, San Salvador, Brazil, Ethiopia, India and Columbia.